As we near the end of the year and the excitement of the holiday builds, let’s stop and take a moment to discuss your dental insurance benefits. Many insurance plan benefits expire with the end of the year, then renew again in January. What this means to you, as our patients, is that if you have any money left on your insurance that is not used before December 31st, it will be lost. Dental insurance benefits do not roll over from one year to the next. This use it or lose it system of benefits means that if you are due for your cleaning or have any treatment that has been diagnosed and not completed, now is the time to act on it. 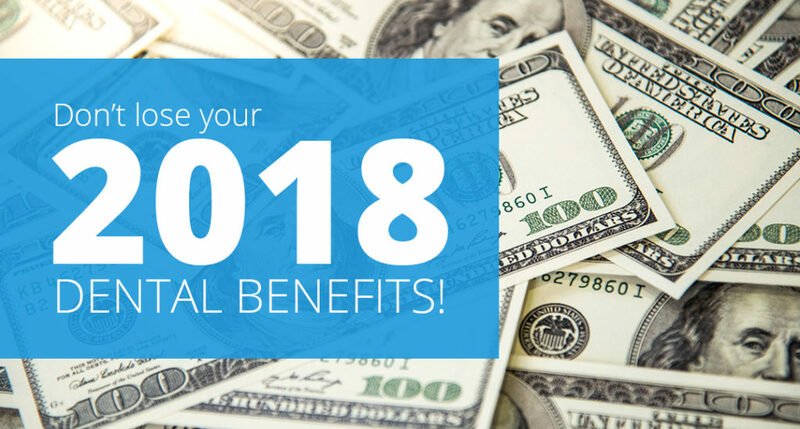 You have been paying your insurance premiums all year long and can make your remaining benefits work to your advantage, rather than losing your hard-earned dollars! Like anything else in the medical world, we never know when an emergency or issue may arise. It is far better to be prepared. By completing treatment that you are aware of needing now with your 2018 benefits, you allow for your entire plan amount to be in reserve for cleanings and restorative work that may arise in 2019. No one wants to have a costly and needed emergency procedure happen when you have already exhausted your plan with cleanings, fillings, and things that could have been done while thousands sat on the books from the prior year. If you have any questions regarding your insurance plan, remaining benefits, or your needed treatment, please call the office and we will be happy to review these with you! Happy Holidays from your friends at MyoTech. We look forward to serving you now and in the new year to come!